I mentioned last week that my friends had challenged me to come up with some “jentertaining” ideas for the shells they collected down at the beach. I am always up for the challenge and had so much fun coming up with a few ideas. 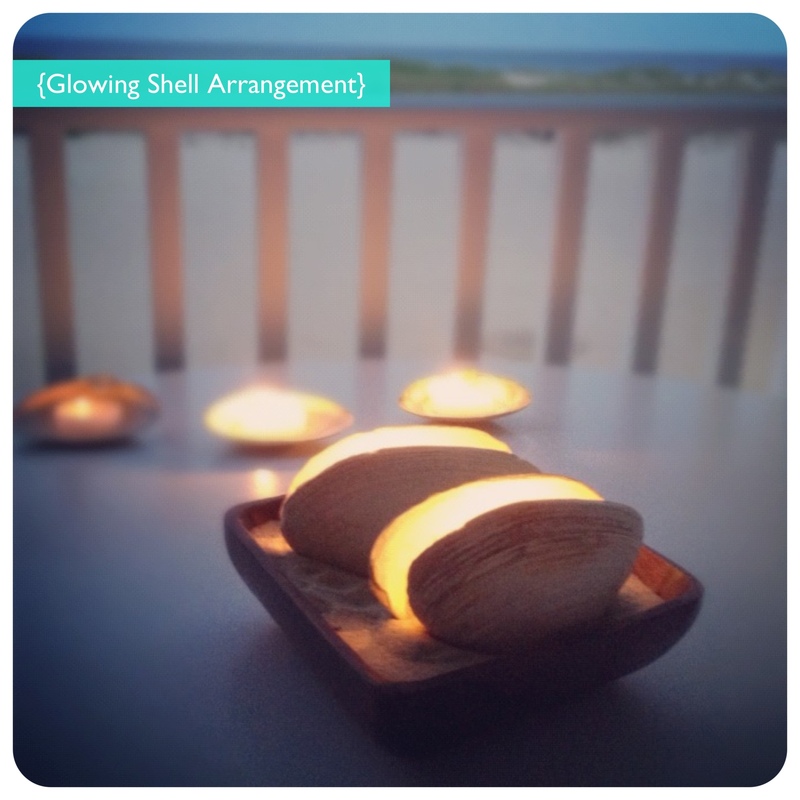 I loved the idea for a glowing shell arrangement and made this smaller version that worked for our dining table. I will be using this all summer. 2. Take two shells that are approx. the same size and dig them into the sand so they look like a clam. 3. Give the container a good shake while holding the shells to smooth the sand and help keep the shells in place. Extra shells? pop in a votive and placed around the room for added decor and lighting! 4. 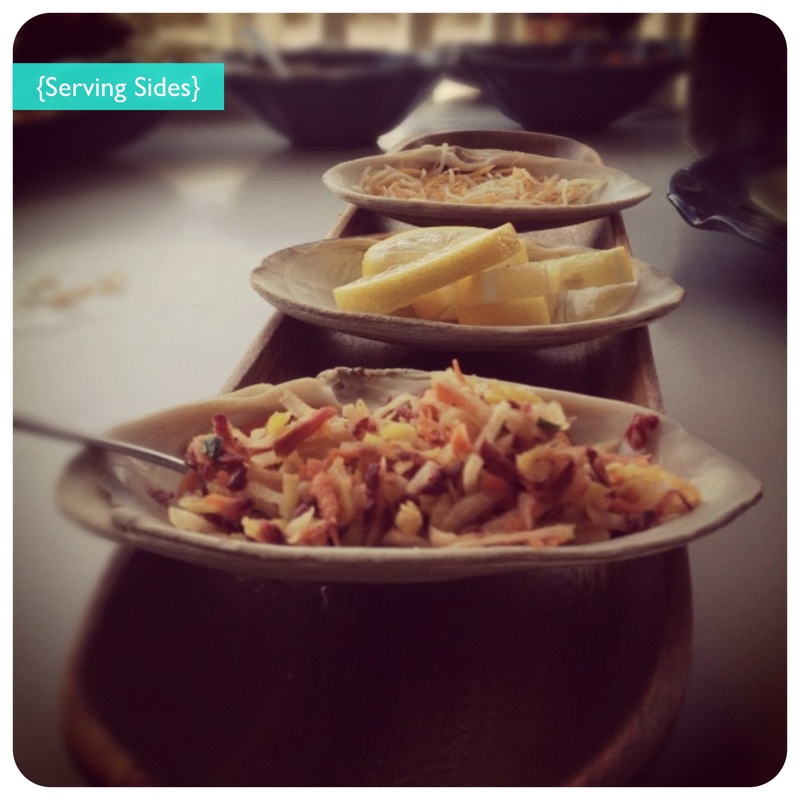 Place the shells in the freezer until you are ready to serve so they help keep the side dishes cool. 5. Use a small teaspoon and tray to serve. *note: I did some research on cleaning and this is my collection of ideas that worked best, but always use your best judgement when selecting shells. 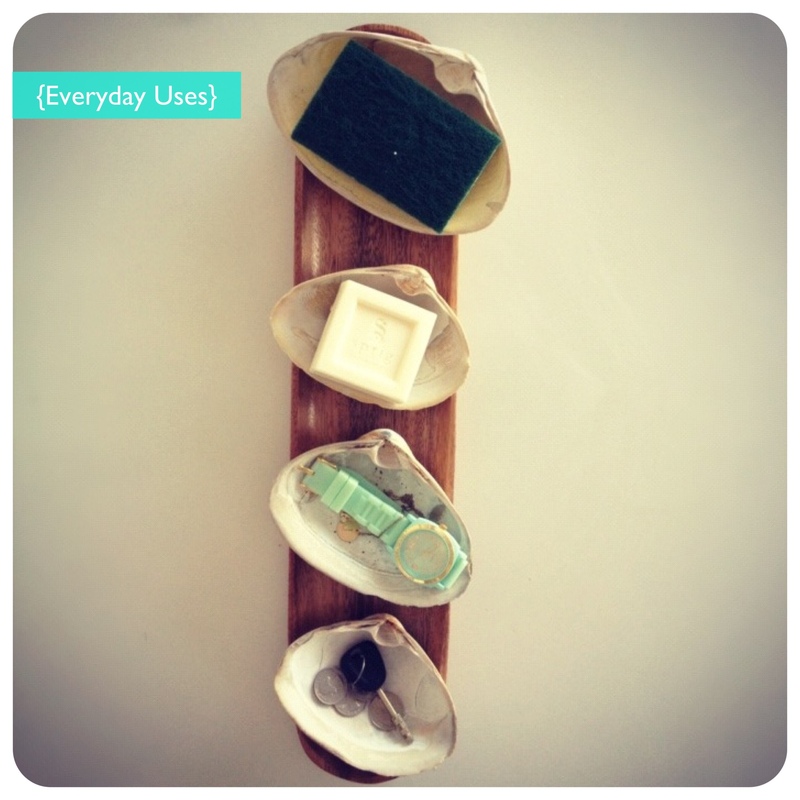 Place by at the kitchen sink as a sponge holder, in the bathroom as a soap dish, in the bedroom for jewelry, or by the front door to hold keys and spare change. My notebook is filling up with ideas!